My guess is that Microsoft is tidying up the server code for OneDrive and it reckons that streaming music from the service isn't used by many people (again, on desktop or mobile). I think they're wrong, but what do I know? 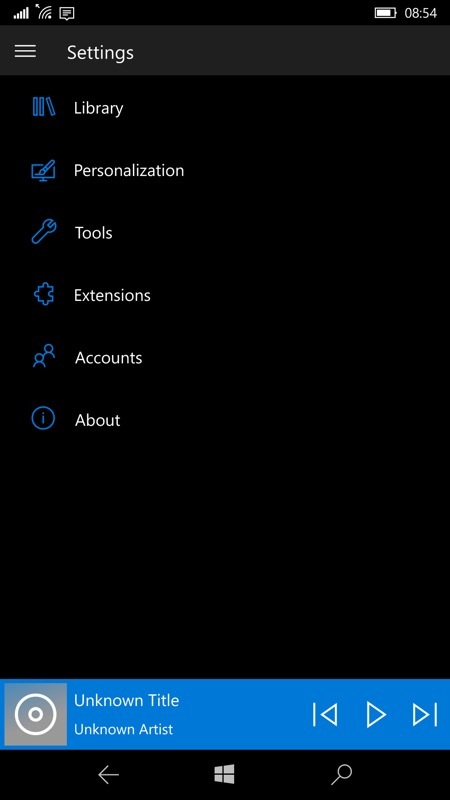 Notably, it's not removing your music files and so these can be accessed by other means (including the OneDrive application itself), but not (after March 31st) from Groove Music. 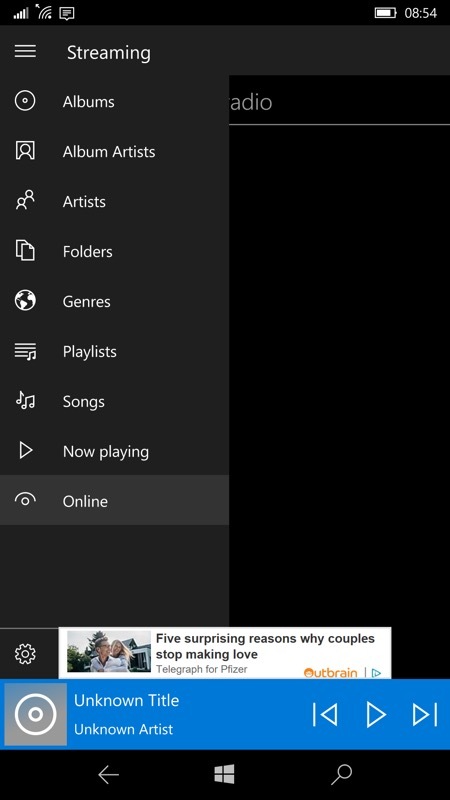 On March 31, 2019, OneDrive music streaming in Groove Music will be retired. Your personal music files will continue to be available in OneDrive. You can keep listening to your music using the OneDrive web player or by downloading your files and playing them in the Groove Music app. What's happening to the Groove Music OneDrive streaming service? The Groove Music OneDrive streaming service will be retired on March 31, 2019. After that date, you won’t be able to stream your OneDrive music through the Groove Music app. 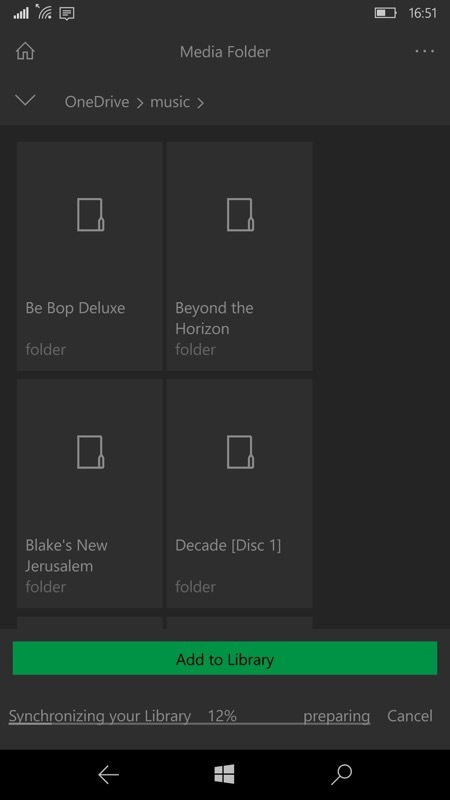 What will happen to my music files in OneDrive? Your personal music files will still be available in OneDrive, which you can access online or through the OneDrive application on any supported device. Download your music to your device with the OneDrive app to keep playing it in Groove. 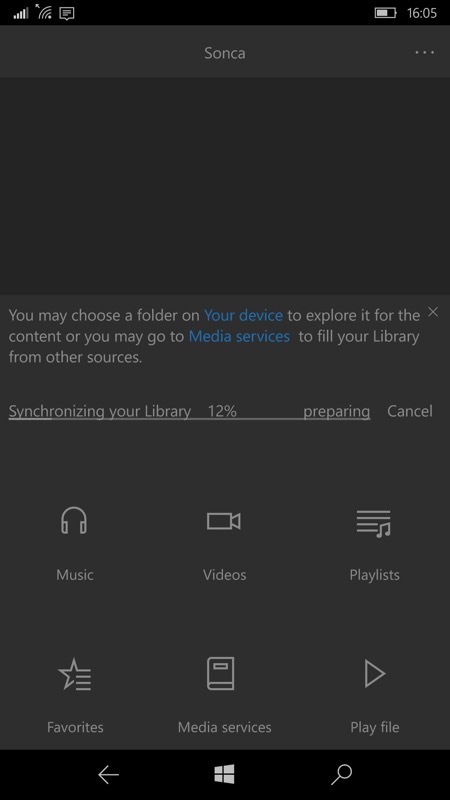 Music stored in your OneDrive will stop syncing with Groove Music on March 31, 2019. Data stored in the Groove Music service will be deleted up to 30 days after that. Your music will still be available in OneDrive and your downloaded music and playlists will still be available in the Groove Music app. 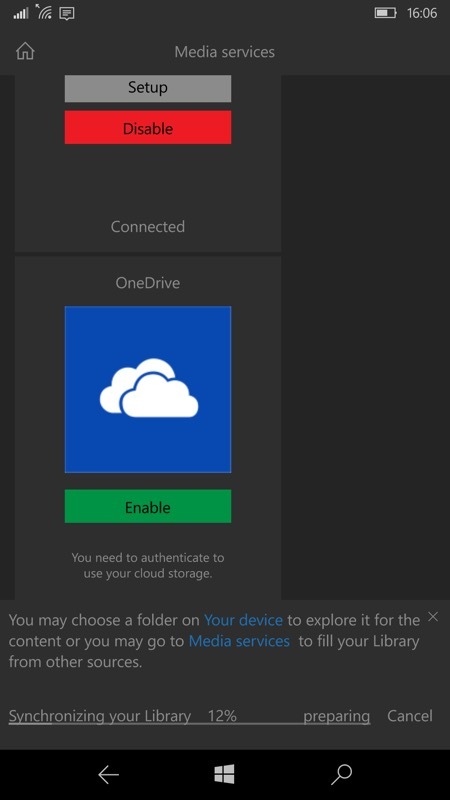 How can I play my OneDrive music on my Windows device? 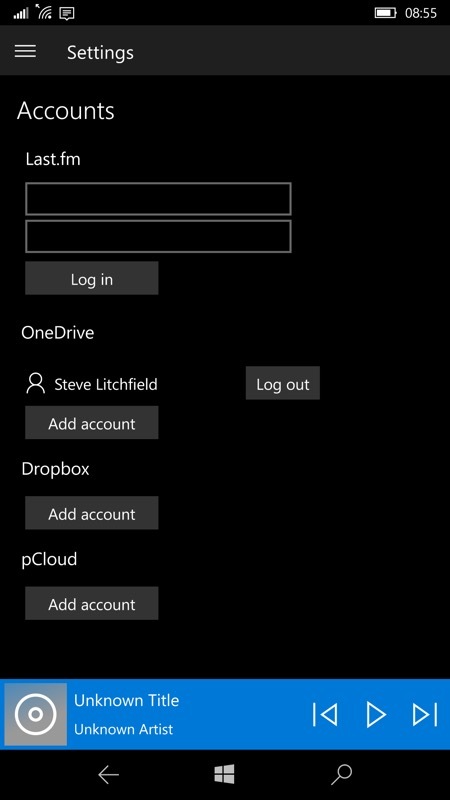 Download your OneDrive music to your PC. Play your music through the OneDrive. 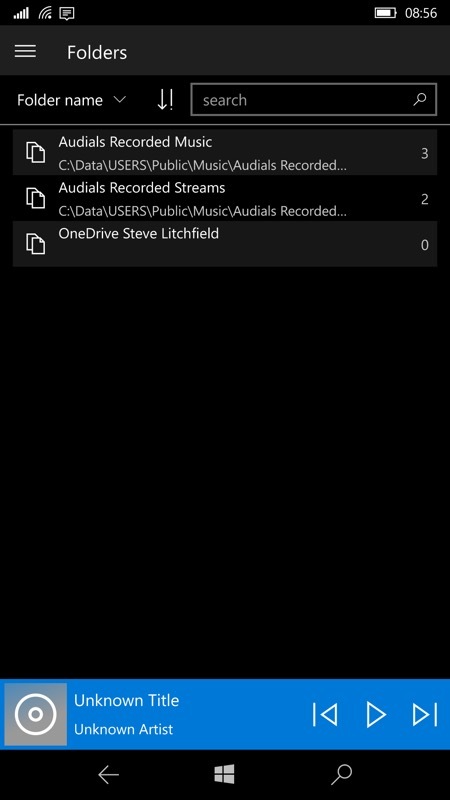 Play your OneDrive music with another streaming app. All a bit bizarre, but never mind. 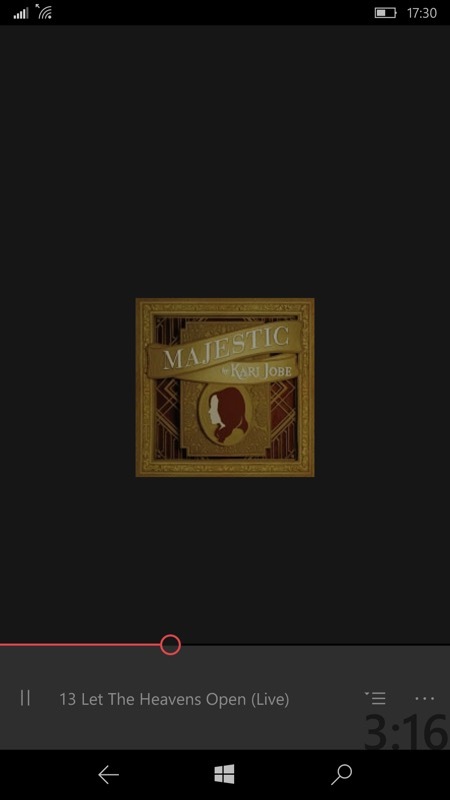 If other AAWP readers are anything like me, they have much of their music library on the phone itself (e.g. on microSD card) but also some online, as a backup. The backup will still exist, so not that much will actually change. You can just keep your OneDrive music on your phone, perhaps needing to get a bigger microSD card to fit everything in? At least cards are super cheap now, in 2019. This has the advantage that you'll never again lose music streaming because you're on a train or plane with no signal. 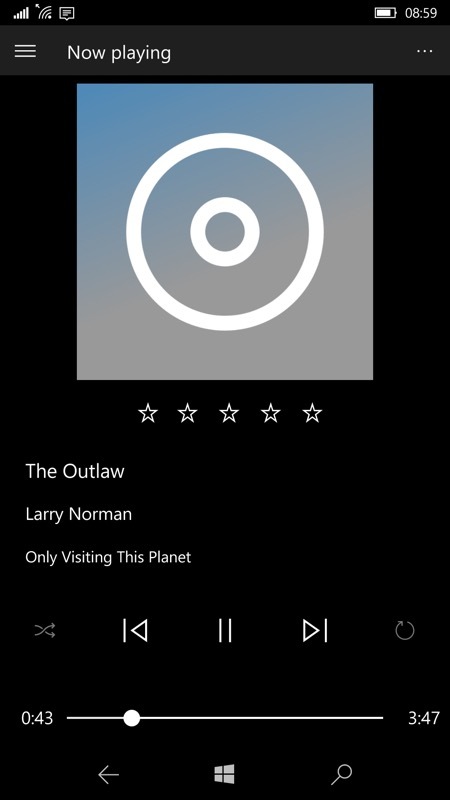 Secondly, you can indeed play your music in the OneDrive UWP app by browsing to a song and hitting play. It undoubtedly works, though it's song by song and you'll need to tap 'next' after each, since there's no auto-advance, e.g. through an album. You can use the commercial Sonca UWP (or its freemium version), shown below, to include a music folder of your choice on OneDrive in its media library. It'll then play through a song list or album, though with the disadvantage that you have to wait between songs while the next one gets downloaded - it doesn't seem clever at pre-caching files, or indeed reading EXIF data in my case. 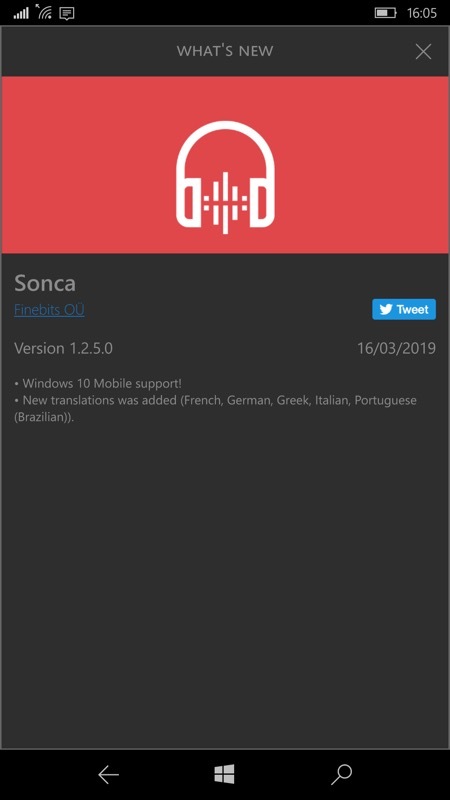 Which is a shame, but it's early days for Sonca, they only just added Windows 10 Mobile support in the last update, for example, so maybe it'll get better. Here's hoping, it's from a reputable developer. It's currently a very immature application! 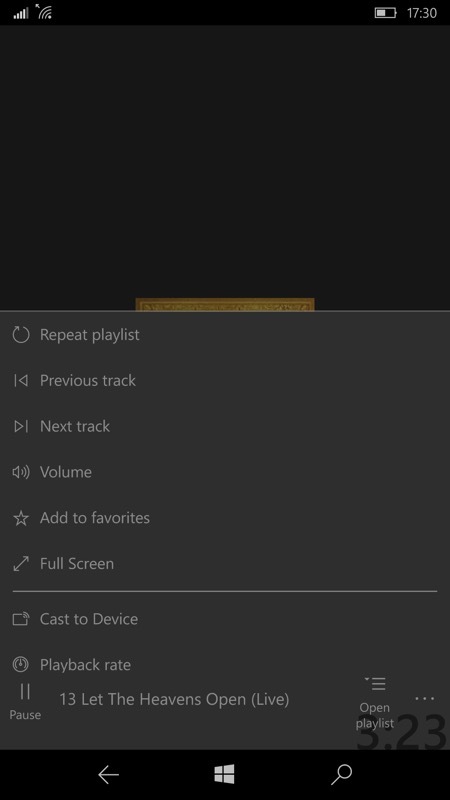 As an alternative to Sonca, there's also Next-Player, shown below, which can also stream music continuously from OneDrive, though this too has its usability caveats. It's faster at starting playing and precaches the next song, but the navigation of online music is inelegant and indexing of local music content is broken in that you'd have to add every single sub-folder of music separately. Oh well. Early days for this application too? But again, at least OneDrive streaming is still possible. ID3 and metadata is also not picked up, making for an unattractive look throughout. The killer for me though is that local music can't be selected by root folder, or at least I can't find a way to do this in the UI. So, comments welcome then - how badly, if at all, will this Groove Music server change hit your own phone use? As for me, with seemingly half my life in areas of poor connectivity in the UK, I have to say I've always been a 'Keep Music Local' man! And so I have my entire library on a 128GB card (in fact, I have several copies of this) and it sits quite happily in my IDOL 4 Pro or Lumia 950 XL, as needed. In fact, my library's really only 70GB, at most, so I also put a load of DVD rips and music videos on. 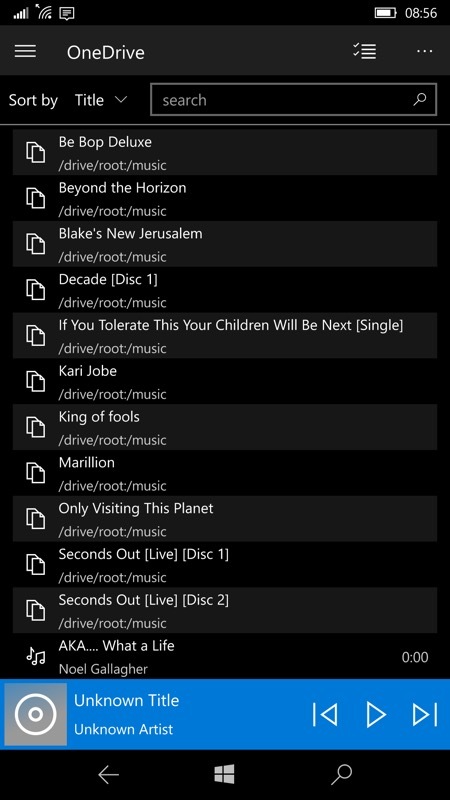 The playback of all of these is local and doesn't need data at all, not even for DRM or similar checks. But then I'm old school - so, again, what about you?